Growing appetites for Pret a Manger's vegetarian food drove comparable sales up 8% to £676m in 2015, propelling earnings before interest, tax, depreciation and amortisation up 15% to about £84m. The UK sandwich chain - which emphasises its commitment to handmade natural food and organic coffee - revealed sales of vegetarian offerings rose more than a tenth. The group sold 17,000 Beets, Squash & Feta SuperBowl salads each week, more than either the chicken or salmon alternatives. And the fastest-selling ingredient in the UK was avocado, as customers ate five million in total. Pret's menu changes proved popular: 14% of UK sales stemmed from food and drink items introduced in the last year. The company also catered to rising demand for take-away breakfast, as 58% of sales were rung up outside of the lunchtime rush. And it raised a record £1.7m for charity, partly due to donations of 50p for each Christmas Lunch sandwich sold. The group, founded in 1984, opened 25 shops to reach a total of 399 outlets. It now has 303 stores in the UK, 65 in the US and the rest in Hong Kong, France and China. Like-for-like growth was strongest in the US: sales rose 14% due to quality improvements and new salads and breakfast items. 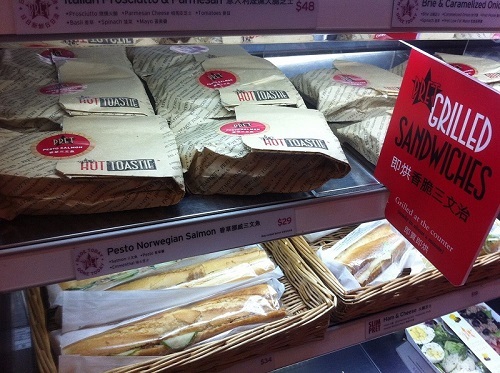 Indeed, a new shop in New York's Penn Station posted the highest sales per square foot of any Pret in the world. Unsurprisingly, Pret's management plans to roll out more vegetarian options and open a veggie-only pop-up shop this summer. An in-store leaflet highlighted environmental concerns, but robust demand is certainly a major factor - especially as sales and profit growth was slightly higher in 2014.